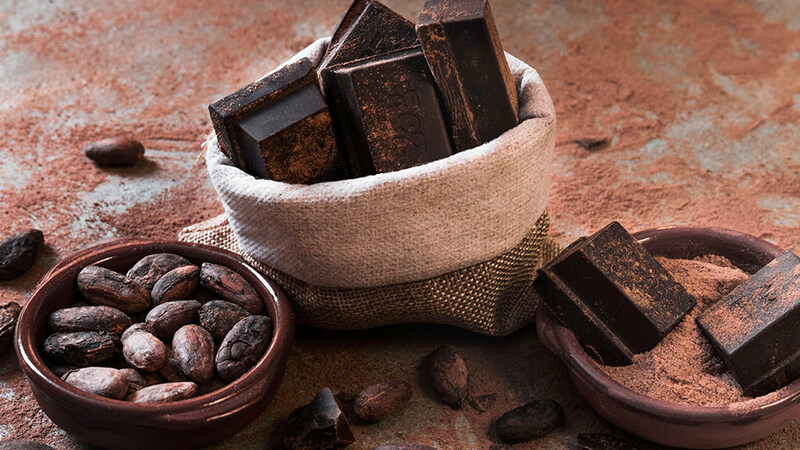 The world is running out of chocolate—at least, that was on the news in 2014 amidst the aging cacao trees in major cacao-producing regions such as West Africa. But chocolate shortage is clearly not the case in the Philippines. Indeed, our country is emerging as a potential cacao capital of the world; and many local chocolatiers are making a name for their quality chocolates and bean-to-bar involvement. 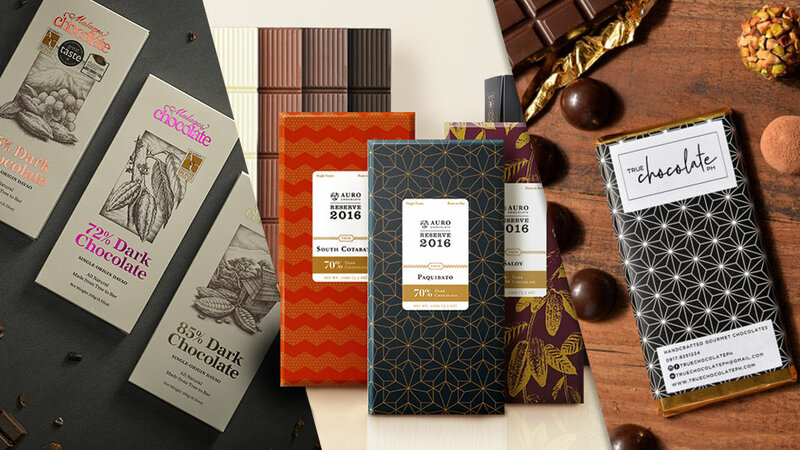 Here’s a rundown of eight local artisanal chocolate brands you should try this Valentine’s season. If you ask any of them what their purpose is for using local cacao beans, they will say the same thing: They aim to support and inspire Filipino farming communities, accentuate local flavors, and place the Philippines on the global chocolate map. Filipino chocolate lovers can help do the same by purchasing and enjoying world-class chocolate products by local brands. Made from cacao beans grown in Paquibato and Saloy, Davao del Sur, Auro’s dark chocolate has hints of green tea, raisin,0 and earthy notes. If you seek variety, Auro is the brand to try. 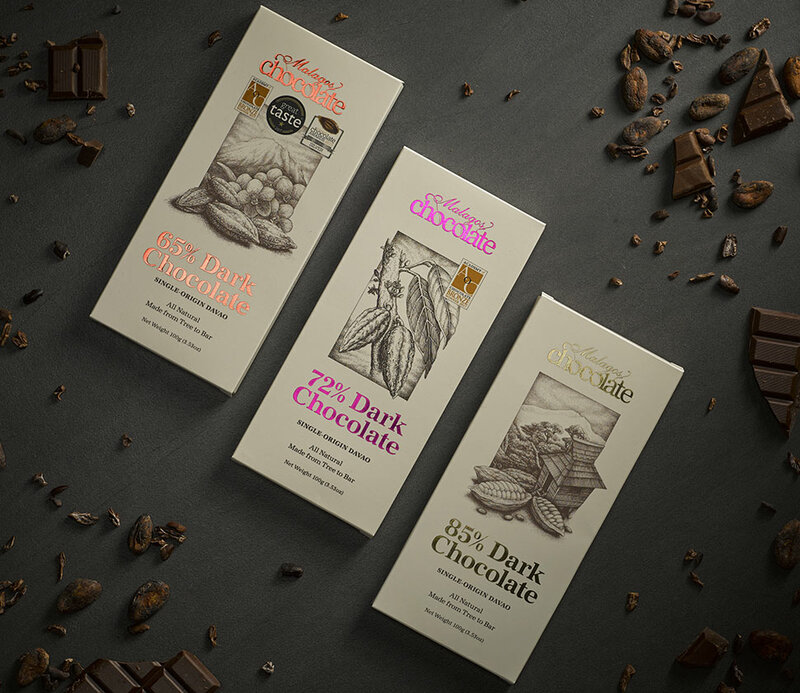 Not only do they have more than 22 variants, but owners Mark Ocampo and Kelly Go also customize chocolate bars for private labels. 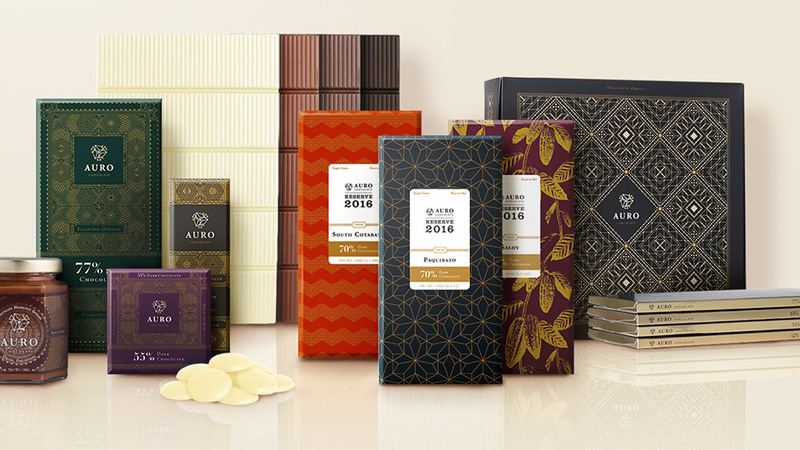 First-time customers can try Auro’s 70 percent Dark Chocolate Saloy Reserve and 32 percent Roasted White Chocolate Cashew, each of which won a bronze medal at the 2018 Academy of Chocolate Awards in London (for the Tree to Bar Category and Flavored White Chocolate Bar Category, respectively). Auro is available in Metro Manila at Salad Stop, Coffee Bean, SM Kultura, Chocolate Lovers, and Blue Kitchen branches. Its products are also displayed at Cebu’s La Vie Parisienne and available online through Honestbee and Karton. The brand opened its first international boutique in Tokyo, Japan in October of 2018. Theo + Philo is one of the most recognizable and well-distributed local artisanal chocolates in the country. Chocolate maker Philo Chua, sources his cacao beans from the Davao Region to make bars, peanut-chocolate spreads and chocolate-based drinks. 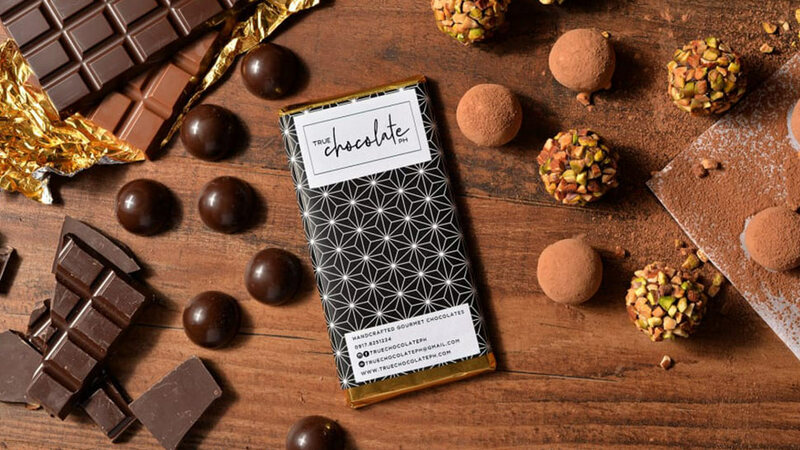 Chua’s chocolate bars are mixed with unlikely flavors such as calamansi, green mango and salt, and adobo. Theo + Philo also offer a sampler box containing all the different flavors. This Valentine’s Day, you can order direct from its website. Theo + Philo products are also available nationwide in Bo’s Coffee, Human Nature (in Metro Manila, Bacolod, Cebu and Davao), Echo Store, Rustan’s Supermarket and Department Store, and SM Kultura branches. Hiraya Chocolates are made of cacao beans from Barangay Malabog, which is a two-hour drive from Davao City. 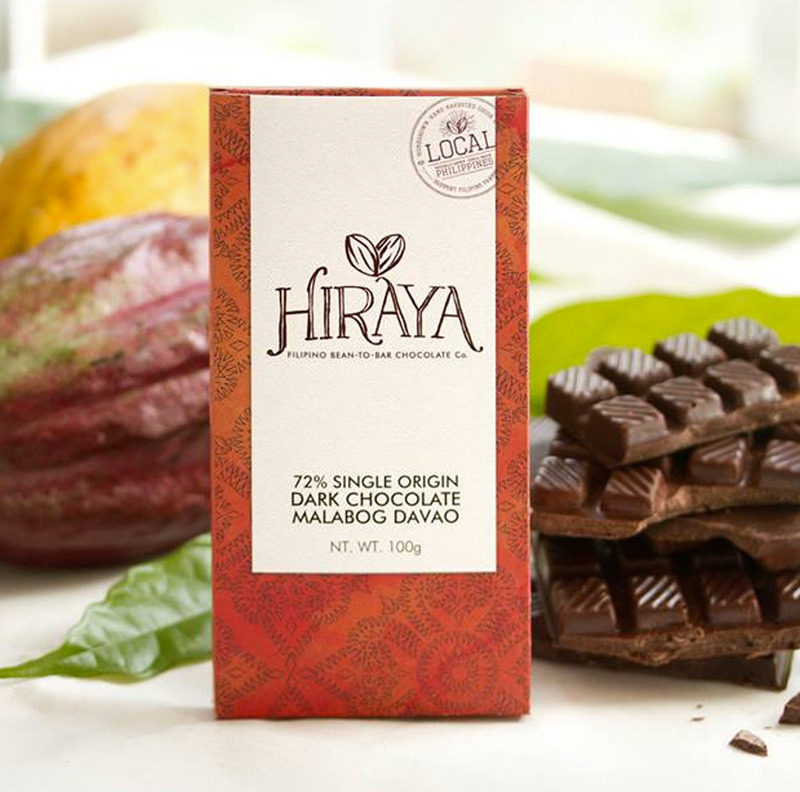 However, this brand also harnesses other Filipino flavors; Hiraya offers its Chicharon chocolate bar and Coffee Nibs Dark Chocolate, which combines Benguet coffee beans with Davao cacao beans. Hiraya Chocolates is mostly available in Luzon—in Quezon City (Coconut House and Roots Collective); Marikina (Cofficina Café + Cowork); Valenzuela (Pixels Hobby Cafe); Bulacan (Cafe Nenzo); Cavite (Sari Your Local Store and Café) and Baguio (Baguio Craft Brewery). 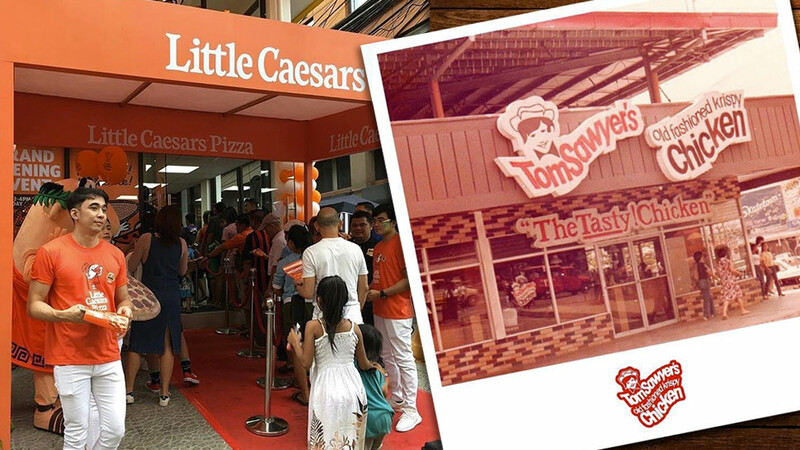 Its products are also available online via Marketa.ph, Foodsource PH and Shopee. Owner of Risa Chocolates Pam Lim Cinco calls herself the CEO—or Chocolate Eating Officer. Together with her team, she creates bars, truffles and pralines made of cacao beans sourced from South Cotabato. Cinco flavors her products with unique ingredients such as chicharon, queso de bola, bacon, and brown butter. 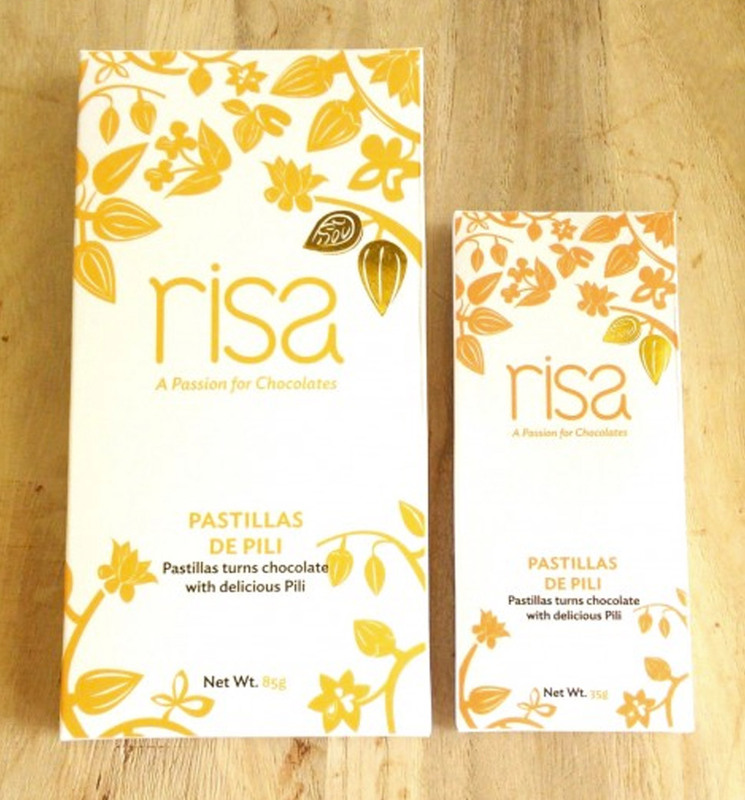 But her best seller is the Pastillas de Pili, which is a pastillas base transformed into a chocolate bar and loaded with pili nuts. Risa Chocolate Kitchen is open in Las Piñas. Its products are also available in Kultura SM Makati and online via Marketa.ph. 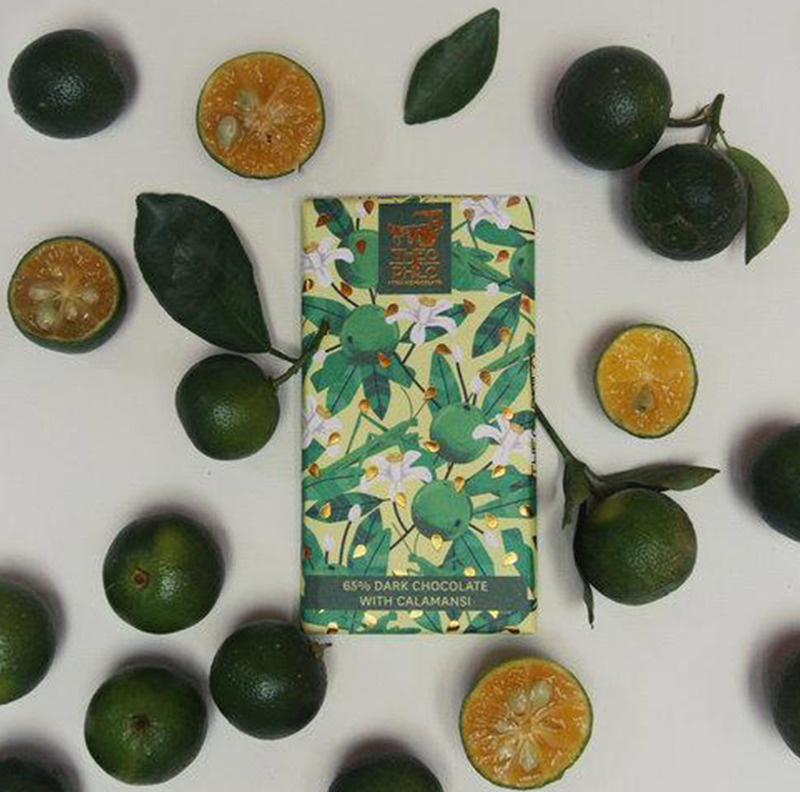 Tigre Y Oliva is a brand by Italian chocolatier Simone Mastrota, who is based in La Union. However, Mastrota sources his cacao beans from three different origins in the Davao Region, each with a distinct taste profile—Santa Maria (fruity taste with hints of cinnamon and pink pepper), Talandang (sweet and tart with a ripe fruit and raisin flavor) and Subasta (green tea, nutty and earthy notes). However, what makes Tigre Y Oliva truly distinct and attractive is the Florentine paper packaging of each chocolate bar. Mastrota’s chocolates are currently available at specialty coffee shops such as Commune and Yardstick in Metro Manila. True Chocolates includes truffles, bonbons and bars by Treena Tecson. 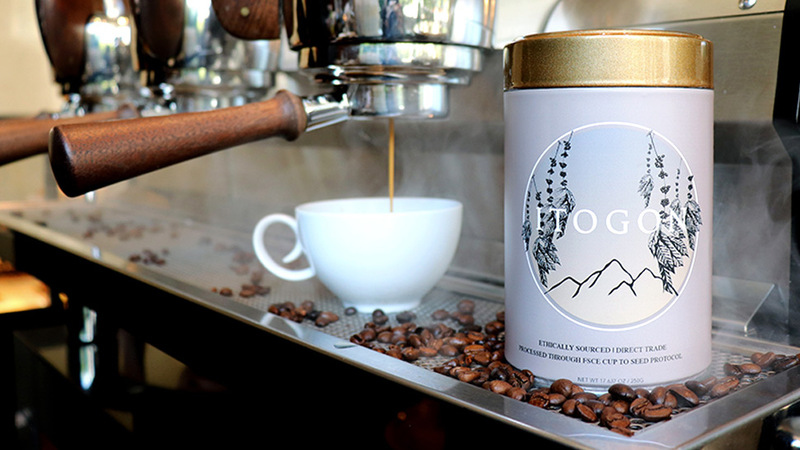 What makes Tecson’s products unique is how it is a marriage of Belgian couverture chocolate and local cacao beans from Negros Occidental. The Nutty Dark Chocolate Truffles, which are made of Belgian dark chocolate rolled in roasted almonds and pistachios, are her bestselling item. Since True Chocolates products are handmade, orders must be made a few days in advance. Orders are done through email or via True Chocolates’ social media accounts followed by bank deposit. 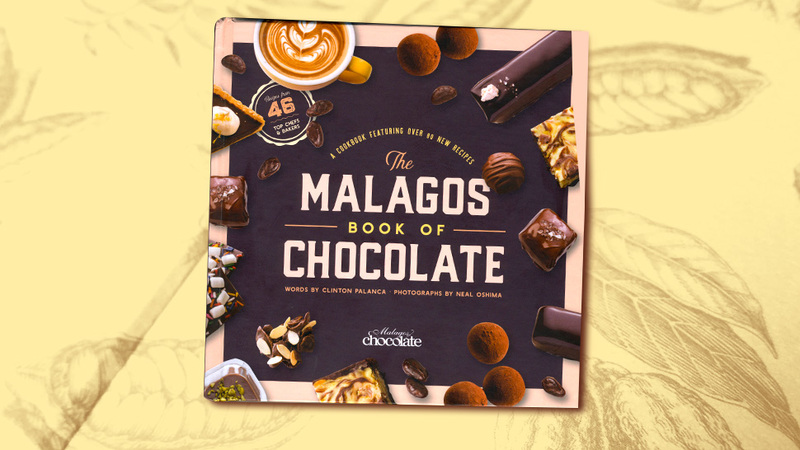 Malagos Chocolates is one of the most awarded local brands, with 28 international awards under its belt. Malagos Chocolates is owned by the Puentespina family, whose range of businesses center on farming and agriculture. They exercise strict control over the planting of cacao seedlings, harvesting, processing, and down to the packaging of final goods to ensure quality. Their chocolates come in bars and button shapes (used for making beverages and desserts). Malagos Chocolates are available at specialty gourmet shops such as Gourdo’s and Echo Store, baking specialists such as Chocolate Lover and Cooks Exchange, pasalubong centers such a SM Kultura and Duty Free, and major supermarkets such as Robinsons. 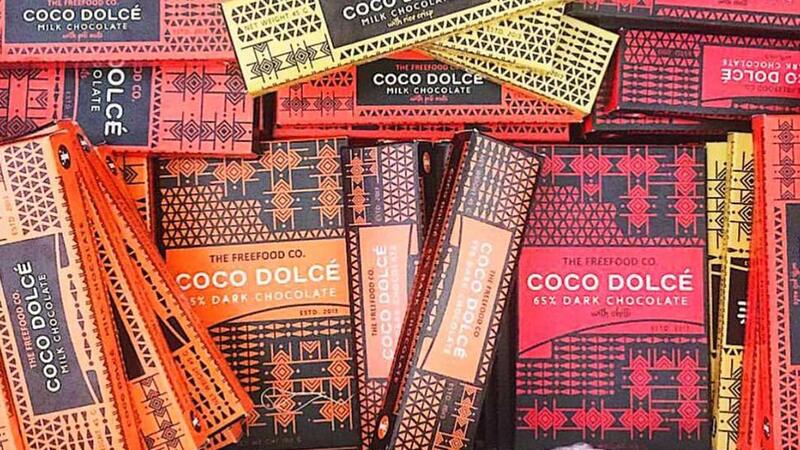 Coco Dolce chocolate bars are made from cacao beans sourced from farming communities in Davao City. Their variants include dark chocolate and milk chocolate sprinkled with chili, pili nuts or rice crisps. However, Coco Dolce products are different from other brands, as they contain organic coconut sap sugar, nectar and virgin coconut oil by parent company Free Food Co. 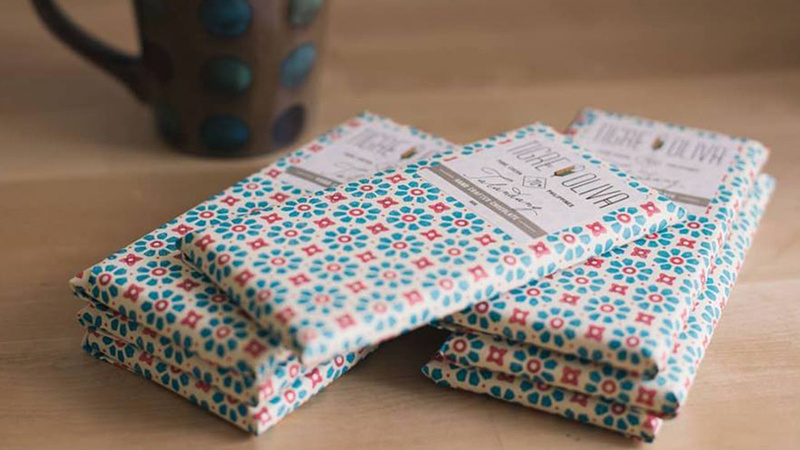 The coconut-based ingredients not only provide a unique caramel flavor and a smooth texture to each chocolate bar, but also make Coco Dolce popular with vegan customers. Free Food Co. is also recognized and certified by both the U.S. Department of Agriculture (USDA) and the European certification body for sustainable development, ECOCERT, for their organic farming practices. Coco Dolce chocolates are available online through its website, The Good Store PH and Lococo. Its products are also on display in Cacao City, a pasalubong center in Davao City for locally made chocolates.